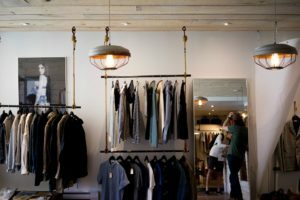 I’ll find the right shops and labels, which match your style and budget, and – if possible – provide you with a pre-selection. Then I’ll lead you on a personal shopping tour through and advise you honestly and independently along the way. You’ll learn how to find clothing that best suits you and even try on unusual. By making the right decisions, we’ll put together a stylish, image-matching and fashionable wardrobe. 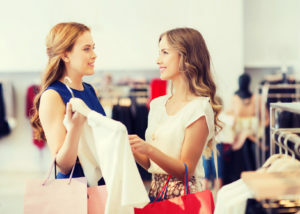 Shopping mistakes will be a thing of the past, and you’ll be surprised by how fun shopping together can be! Personal Shopper: from 139- € for 3 h.
You don’t have the time or the desire to shop but maybe know exactly what products you need? Then order shopping is the ideal alternative for you. A preselection of clothing and accessories will be presented to you at the location of your choice. You’ll receive competent consulting and, of course, there’s no obligation to buy. Perhaps you know exactly which hot-selling product you need but can’t find it in the city. I will purchase it for you and deliver it to addresses in Gran Canaria. This service is based on personal conversations with you or better yet a wardrobe check in advance. Order Shopping: from 49,- € per h.
*The expected duration of the exchange of the requested items will be provided and accounted in the same way as shopping.